ScÃ³r Founder Derry Gowen Honoured by Munster Council. Exceptional dedication to the promotion of culture within the GAA earned ScÃ³r founder Derry Gowen due recognition of Life Membership from the Munster ScÃ³r Committee at a presentation in the Grand Hotel, Fermoy. 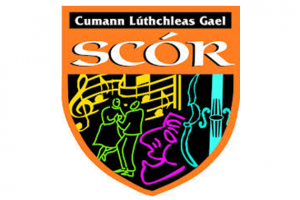 ScÃ³r derives its origins from the GAA, founded by the Fermoy native as a means to promote the countryâs native identity. Down through the years, the upswing and development of cultural activity is partly to ScÃ³r involvement. The profile of ScÃ³r has grown substantially over the years and thatâs a reflection of the individuals and teams that have graced some of the prominent stages across the country. Munster ScÃ³r Cathoirleach Jim Enright said the ScÃ³r competition has provided a very important social and cultural dimension to the GAA since itâs foundation in 1969 and took delight on bestowing the honour of Life membership on Derry Gowen. Present to pay tribute to Derry were provincial, county, divisional and club representatives including Anthony Walsh, Cisteoir, Munster Council CLG; Jerry Doody, Cork; Michael Dolan, former Cork GAA Chairman; DaithÃ­ Pierce, Avondhu and Tommy OâBrien, Fermoy. ScÃ³r founder Derry Gowen receives a presentation from Jim Enright, Chairman, Munster ScÃ³r in the presence of Michael McNamara, RunaÃ­; Anthony Walsh, Treasurer, Munster GAA Council; Margaret Whelan, Tom Herlihy, Jerry Doody, Jackie Walsh, Seamus McGrath, Jim Enright and Dan Madden. Picture John Tarrant.